This modest part pack is designed to provide some new rocket engines that run on Liquid Hydrogen and Oxidizer. There are six models provided, two in each of the 1.25, 2.5 and 3.75m sizes. 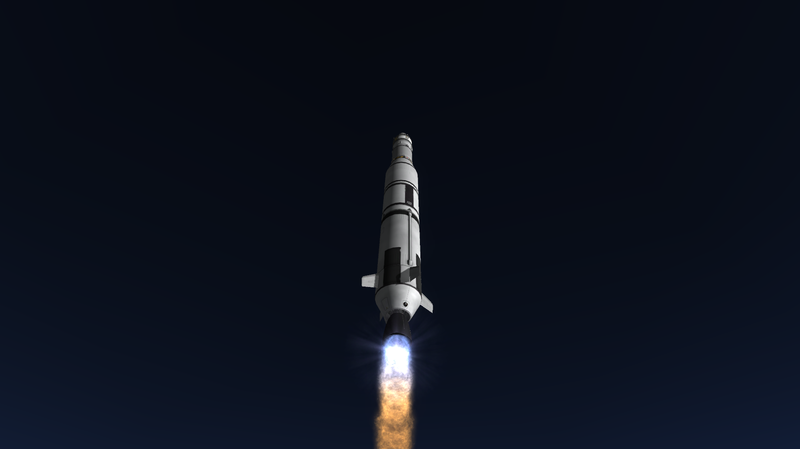 These engines have better fuel efficiency than the KSP stock engines, up to 455s, but beware! They're more expensive and produce less thrust per unit weight. In addition, liquid hydrogen is less dense than liquid fuel, so for the same Delta-V, you will need more tank volume. To store your liquid hydrogen fuels, I've provided ModuleManager/B9PartSwitch configs that allow you to change the contents of stock tanks between LF/O, LH2/O, LF, O and LH2. These should work with most mod tanks, but no promises. However, Liquid Hydrogen is very temperamental and without the proper storage it will slowly evaporate ("boil off"). Therefore, I provide special cryogenic tanks bundled with the mod, that use a small amount of Electric Charge to stop the evaporation. This mod is designed to synergize well with Kerbal Atomics, and with the various Near Future Technologies mods I make. It is also fully integrated into the Community Tech Tree. A: Talk to CKAN folks, CKAN is not supported. Q: Oxidizer isn't LOX, it's something else! Q: How do I stop the engines from using LH2/O and use LF/O instead? A: Install the CryoEnginesLFO patch in the Extras folder. All art assets (textures, models, animations) are distributed under an All Rights Reserved License. All bundled mods are distributed under their own licenses. A big hand to Fraz86, who basically wrote the configs for fuel switching and balancing LH2 tanks :D.
If you appreciate this project, please consider contributing to my caffeine addiction! I really appreciate it, and also helps justify this time sink to my wife , which results directly in more models. Awesome! The configurable tanks are going to be quite useful too! Can they be used without Firespitter and its fuel-switching feature, i.e. as ordinary stock engines? That looks really great, fantasctic modelling and texturing! I hate to ask such a question because it almost seems insulting to your work and original intent for these engines, but would you consider writing an optional config for using standard LF/O? Well this one came out of the blue! (Actually, not! )That fuel-switching is also quite handy since stock game doesn't have enough LF-only tanks.I tip my spacesuit helmet to you...again!! Could boiloff be added as an option, to further enhance the realism? That's RealFuels' domain, when compatibility is added for that, you can use it for boiloff. It's in the Future Plans above. This "patch" should be the standard, IMO - it would allow to use these engines even without MM. All other features (LH2, firespitter and such) should be optional MM patches. lf/o IS the standard, and OP wanted to do something different from that. That's why the lf/o configs will be MM patches. I'd say most people who care about boiloff will be using RealFuels. My game will stop loading parts if I have this installed. EDIT: It's FSFuelSwitch. I got rid of that config and made the engines LFO and that fixed it. That's exactly what I meant in my post. LF\O should be in part configs, and LH2 should be added as an optional patch. I really like how the heavy 3.75m engine resembles an RS-68 used on a Delta IV Heavy, kudos for that. I do have two questions. First, does your MM patch for the fuel tanks affect third-party tanks such as KW's? Frankly the stock tanks are fugly and I'll phase them out as soon as better modded tanks catch up to 1.0. Second, and the dumber of the two, what exactly the is the ...appeal of using these engines. Maybe I am a little plebeian, but theyre more expensive, and require considerably more fuel to get the same dV. Is high ISP their sole redeeming merit or is there something else to them? OMG yes, now I don't have to do this. I'm starting to think you can read my mind. Now all we need are some fuel tanks and I'll never have to use stock parts again. I'm working on a set that has a more standardized form than the random squad ones and was planning to include H2/LOX versions, but they won't approach this level of quality. I can't tell if you've done emissives yet, but if you haven't and plan to can I suggest doing the 'inside only' look, instead of making the whole bell orange? Also, can I ask how you determined the H2 fuel ratios for the stock tanks? Edit: also, I think Yucutan is spelled Yucatan. Yes to the fuel-tank patch affecting third-party tanks. It matches every installed part that contains LFO and doesn't already have an FSfuelSwitch. Advantage of these engines is 1) Isp, and 2) filling in some gaps in the stock lineup. The KS-68 Mars fits nicely between the stock Rhino and Mammoth. No trench effects. Other then that I haven't seen any problems yet. Here's a patch that targets every engine that uses LF without Oxidizer or IntakeAir, including the 3.75m NTR from the Taurus HCV. Will probably work for Atomic Age when I get those installed. I really like this mod man, good work!